Upon the instructions of my Government, I have the honour to transmit herewith the official press release of the Ministry of Foreign Affairs and Worship of Argentina on the occasion of the 186th anniversary of the usurpation of the Malvinas Islands by the United Kingdom, marked on 3 January (see annex). I should be grateful if you would have this letter and its annex circulated as a document of the General Assembly under agenda item 47, concerning the question of the Malvinas Islands. On 3 January 1833, the Malvinas Islands, which are an integral part of the Argentine national territory, were illegally occupied by military forces of the United Kingdom of Great Britain and Northern Ireland. The Argentine Republic, since its beginnings as an independent nation, has expressed, through government acts, its firm resolve to exercise its effective sovereignty over the archipelagos and maritime areas of the South Atlantic, as the rightful successor to Spain. That exercise of sovereignty was interrupted 186 years ago with the start of the British occupation, an act that Argentina protested immediately and to which it never consented. The recovery of the effective exercise of our sovereignty over the Malvinas Islands, South Georgia Islands and South Sandwich Islands and the surrounding maritime areas, in accordance with international law, while respecting the way of life of their inhabitants, is a permanent and unrenounceable objective of the Argentine people, as reflected in the national Constitution. 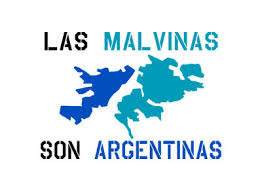 The United Nations recognizes the existence of a colonial situation in the Malvinas Islands, where the underlying sovereignty dispute must be resolved by the Argentine Republic and the United Kingdom through bilateral negotiations, taking into account the interests of the inhabitants of the Islands. 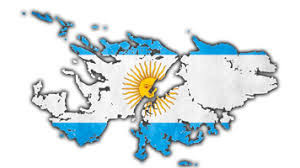 The Argentine Republic continues to receive the support of the countries of the region for its legitimate sovereignty rights in the question of the Malvinas Islands, both bilaterally and through various regional forums. Other multilateral forums, such as the Organization of American States, the Group of 77 and China and the Ibero - American Summit, have called for a resumption of negotiations. The Government of Argentina has expressed its willingness to resume negotiations to find a solution to this sovereignty dispute and reiterates its readiness to continue working to build a climate of trust that is conducive to such an outcome. On this date that is so significant for our country, the Government and people of Argentina reaffirm once again their legitimate and imprescriptible sovereignty rights over the Malvinas Islands, South Georgia Islands and South Sandwich Islands and the surrounding maritime areas.